Join Campaign Brief Asia and all our friends at two big social occasions at this year’s AdFest on Thursday and Friday nights this week. If you are attending AdFest in Pattaya, Thailand then mark these details down in your diary. 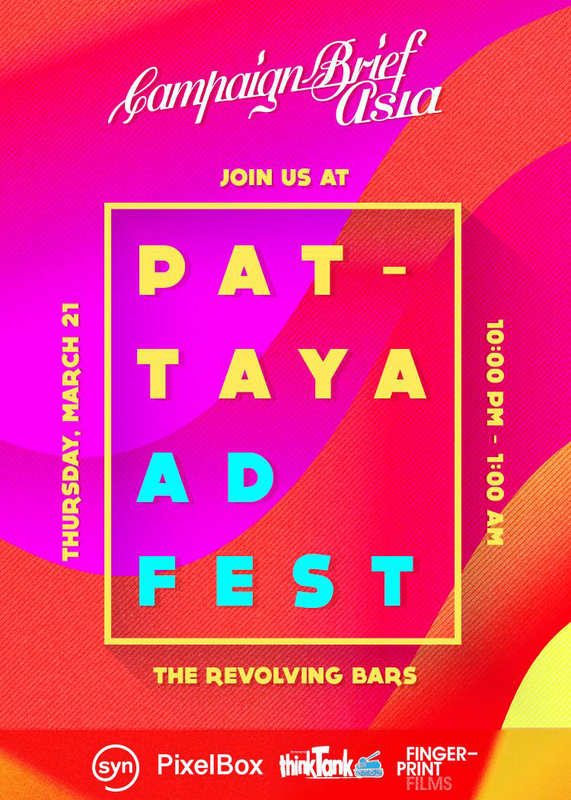 THURSDAY March 21st – Campaign Brief Asia, along with our friends at SYN Music, PixelBox, Directors Think Tank and Fingerprint Films are again hosting late night drinks from 10pm to 1am at the Revolving Bars just off Walking Street. This is the 3rd time we have hosted this party and it’s a great way to escape from the madness of Pattaya’s night life and network with other AdFest delegates. 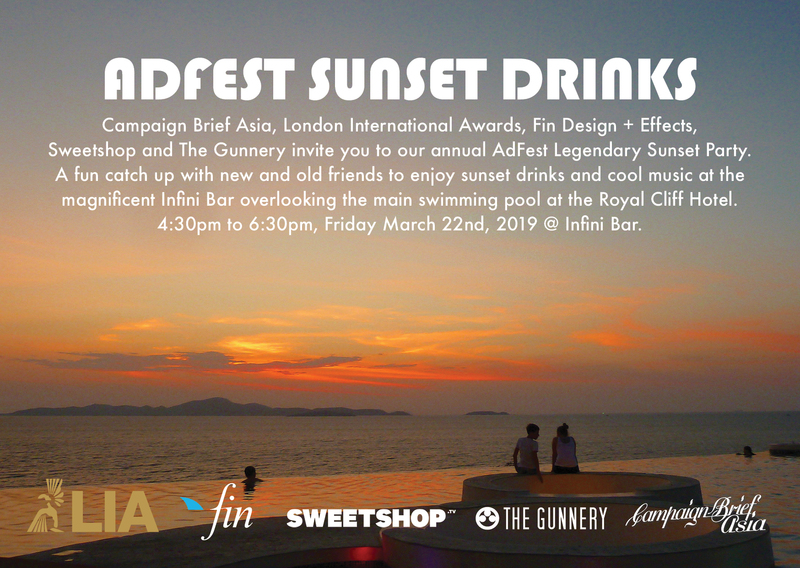 FRIDAY March 22nd – Campaign Brief Asia, along with our friends at London International Awards, Fin Design + Effects, Sweetshop and The Gunnery are holding our Legendary AdFest Sunset Drinks at the Royal Cliff Hotel before the Festival’s first award show. This is the 7th year we have put on the party so come down to the Infini Bar around the swimming pool at the Royal Cliff Hotel from 4:30pm to 6:30pm and enjoy a few drinks and the stunning sunset over the ocean. Looking forward to seeing old friends and meeting new ones. Campaign Brief would like to thank London International Awards, Fin Design + Effects, Sweetshop, The Gunnery, SYN Music, PixelBox, Directors Think Tank and Fingerprint Films for their friendship and for generously getting behind Campaign Brief, AdFest and the creative industry by sponsoring these two great parties.